Waima is a community in the south Hokianga area of Northland, New Zealand. State Highway 12 runs through the area. The Waima River flows through the Waima Valley into the Hokianga Harbour. The history of Waima is as ancient as the majestic mountains that dominate the surrounding landscape. It was told; that when the Polynesian explorer-Kupe arrived in the Hokianga Harbour and explored the upper reaches of the Taheke River, he found a valley that stirred memories of his home in Tahiti, and as a reminder he named it Waima Tuhirangi. Omanaia Church standing on top of hill. The church in Omanaia was built in 1884 and seems to be the second oldest standing church building in the Hokianga Harbour. 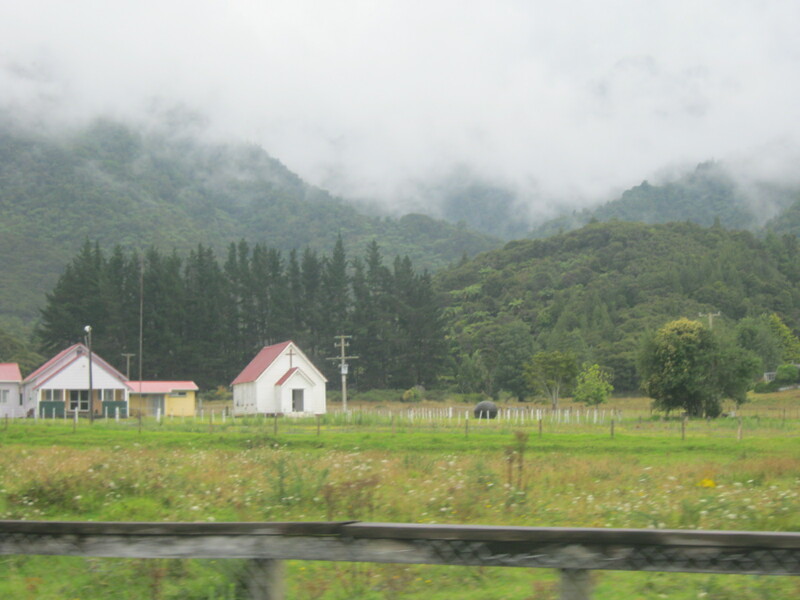 Omanaia is shortly after the Rawene turn off driving east towards Kaikohe. 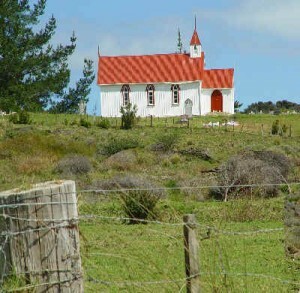 If you want to visit the church, you will have to drive into Omanaia Road and head for the school house. The church is right beside it. Panel beside Mission Oak in Moehau, stating that the Oak was planted in 1839 by John Warren. 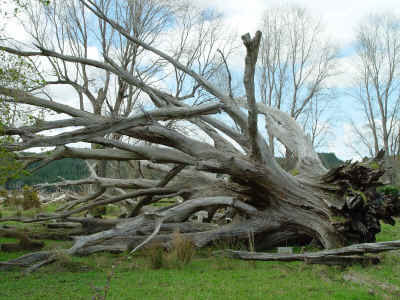 To see the Mission Oak in Moehau, you have to turn North East into Waima Valley Road and drive about 6 km until you find the oak shortly after the bridge over the Waima River. In 1810, an encounter at Waima during the Musket Wars resulted in the death of the Nga Puhi chief Te Tauroto. 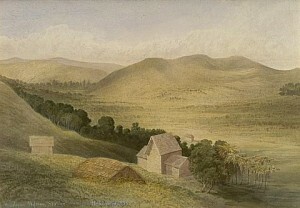 Te Whareumu was killed and Muriwai mortally wounded in a skirmish in March 1828. The chief of the sub tribe Te Mahurehure and Te Urikaiwhare was Mohi Tawhai (d.1875), who was a signatory to the Treaty of Waitangi in 1840 and was known as the peace maker of the North. Waima was the site of a Wesleyan mission in the mid 19th century. In the 1870s timber milling commenced in the area.